Since launch, Defense Grid 2 has supplied its PC players with the DG Architect toolset, enabling players to make their own DG2 maps. Today, the Steam Workshop was integrated into the game, so users can now take those maps and submit them with the tantalizing possibility of getting a profit for their creative genius. The way it works is similar to all Steam Workshop entry systems. Users can submit maps through the DG Architect tool, after which they will undergo consideration by the developer, Hidden Path. Maps under consideration can be viewed and commented upon on DG2's Workshop page. If approved and put into the store, proceeds generated from map sales will be split between Hidden Path and the map's creator. Relatedly, Hidden Path's in-game store has also been expanded with seven more player-created maps (brought directly over from their Workshop submissions), bringing the total purchasable maps up to 11. These maps are each $0.99 apiece and can be purchased from Hidden Path's store. To celebrate the Steam Workshop integration as well as the new player-created maps, Hidden Path is also running a contest with four EVGA Titan Black video cards as the award to four lucky winners. To enter, DG2 owners simply have to register their email address on Hidden Path's site. Everyone who has already registered will automatically be entered into the contest. The contest ends April 2nd, with the drawing being on April 3rd. 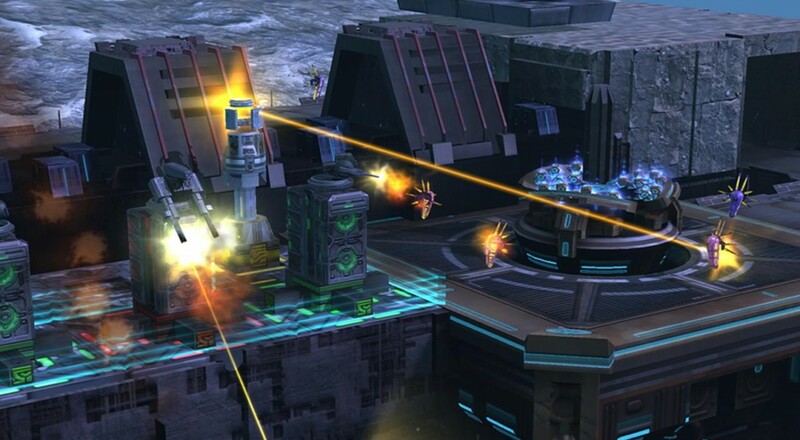 Defense Grid 2 supports 2-player local or 2-player online co-op on PC, PS4, and Xbox One. The Steam Workshop integration is, of course, only support on the PC version.